Kim, K. H., Willger, S. D., Park, S. W., Puttikamonkul, S., Grahl, N., Cho, Y., Mukhopadhyay, B., Cramer, R. A., Jr. and Lawrence, C. B. (2009). TmpL, a transmembrane protein required for intracellular redox homeostasis and virulence in a plant and an animal fungal pathogen. 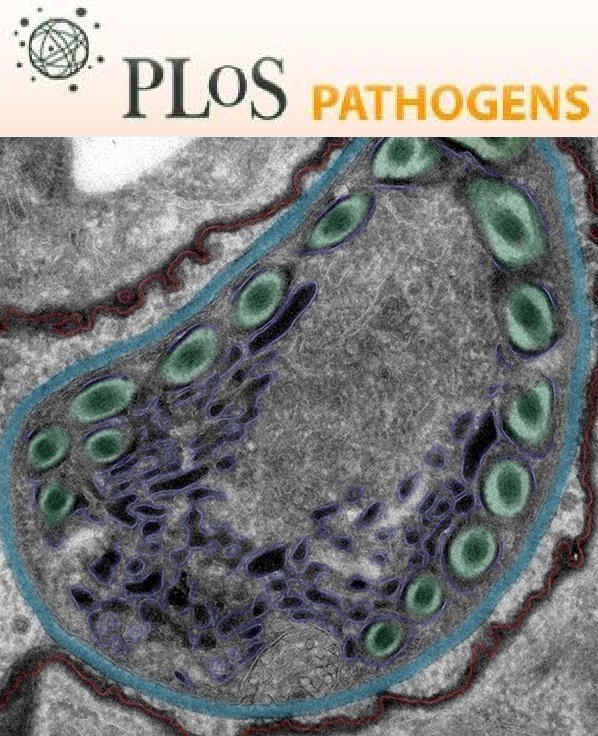 PLoS Pathog 5(11): e1000653. Cho, Y., Hou, S. and Zhong, S. (2008). Analysis of expressed sequence tags from the fungal banana pathogen Mycosphaerella fijiensis. Open Mycol J 2: 61-73. Cho, Y., Kim, K. H., La Rota, M., Scott, D., Santopietro, G., Callihan, M., Mitchell, T. K. and Lawrence, C. B. (2009). Identification of novel virulence factors associated with signal transduction pathways in Alternaria brassicicola. Mol Microbiol 72(6): 1316-1333. Sanchez-Puerta, M. V., Cho, Y., Mower, J. P., Alverson, A. J. and Palmer, J. D. (2008). Frequent, phylogenetically local horizontal transfer of the cox1 group I Intron in flowering plant mitochondria. Mol Biol Evol 25(8): 1762-1777. Lawrence CB, Mitchell TK, Craven KD, Cho Y, Cramer RA, Kim, KH. 2008. Mini review: At Death’s Door: Alternaria Pathogenicity Mechanisms. Plant Pathology J. 24: 101-111. Craven, K. D., Velez, H., Cho, Y., Lawrence, C. B. and Mitchell, T. K. (2008). Anastomosis is required for virulence of the fungal necrotroph Alternaria brassicicola. Eukaryot Cell 7(4): 675-683. Cho, Y., Cramer, R. A., Jr., Kim, K. H., Davis, J., Mitchell, T. K., Figuli, P., Pryor, B. M., Lemasters, E. and Lawrence, C. B. (2007). The Fus3/Kss1 MAP kinase homolog Amk1 regulates the expression of genes encoding hydrolytic enzymes in Alternaria brassicicola. Fungal Genet Biol 44(6): 543-553. Kim, K. H., Cho, Y., M, L. A. R., Cramer, R. A., Jr. and Lawrence, C. B. (2007). Functional analysis of the Alternaria brassicicola non-ribosomal peptide synthetase gene AbNPS2 reveals a role in conidial cell wall construction. Mol Plant Pathol 8(1): 23-39. Cramer, R. A., CM, L. A. R., Cho, Y., Thon, M., Craven, K. D., Knudson, D. L., Mitchell, T. K. and Lawrence, C. B. (2006). Bioinformatic analysis of expressed sequence tags derived from a compatible Alternaria brassicicola-Brassica oleracea interaction. Mol Plant Pathol 7(2): 113-124. Cho, Y., Mower, J. P., Qiu, Y. L. and Palmer, J. D. (2004). Mitochondrial substitution rates are extraordinarily elevated and variable in a genus of flowering plants. Proc Natl Acad Sci U S A 101(51): 17741-17746. Cho, Y., Fernandes, J., Kim, S. H. and Walbot, V. (2002). Gene-expression profile comparisons distinguish seven organs of maize. Genome Biol 3(9): research0045. Cho, Y. and Walbot, V. (2001). Computational methods for gene annotation: the Arabidopsis genome. Curr Opin Biotechnol 12(2): 126-130. Palmer, J. D., Adams, K. L., Cho, Y., Parkinson, C. L., Qiu, Y. L. and Song, K. (2000). Dynamic evolution of plant mitochondrial genomes: mobile genes and introns and highly variable mutation rates. Proc Natl Acad Sci U S A 97(13): 6960-6966. Cho, Y. and Palmer, J. D. (1999). Multiple acquisitions via horizontal transfer of a group I intron in the mitochondrial cox1 gene during evolution of the Araceae family. Mol Biol Evol 16(9): 1155-1165. Cho, Y., Qiu, Y. L., Kuhlman, P. and Palmer, J. D. (1998). Explosive invasion of plant mitochondria by a group I intron. Proc Natl Acad Sci U S A 95(24): 14244-14249. Qiu, Y. L., Cho, Y., Cox, J. C. and Palmer, J. D. (1998). The gain of three mitochondrial introns identifies liverworts as the earliest land plants. Nature 394(6694): 671-674. Ahn T, Yoo S, and Cho Y. 1991. Immunofluorescence microscopy and biochemical characterization of two nuclear envelope proteins of Amoebae proteus by using a monoclonal antibody. Korean J. Zool. 34:44-53.